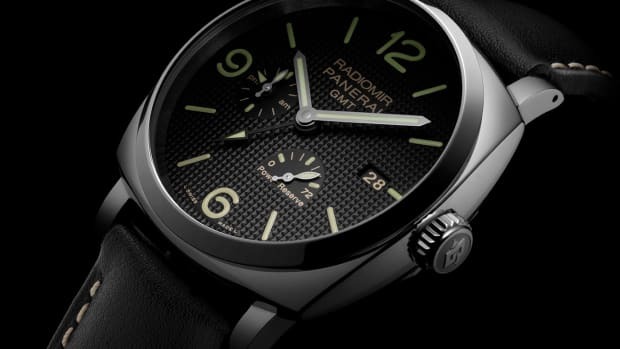 If Panerai&apos;s watch line were the Avengers, the new Radiomir 1940 Minute Repeater Carillon Tourbillon GMT would definitely be Iron Man. 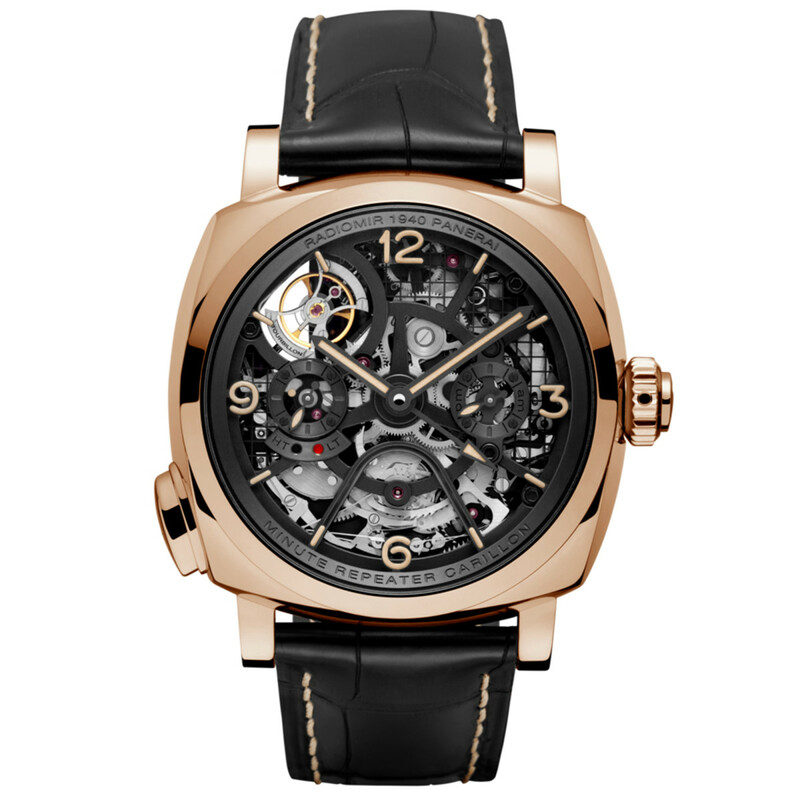 The watch is a tour de force of watchmaking with a mind-boggling 633 components that make up the watch&apos;s movement. 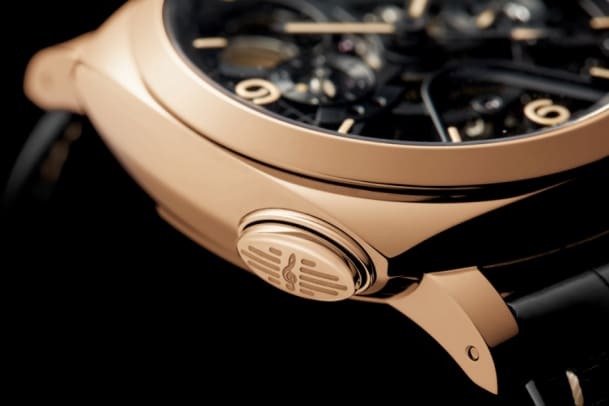 All those bits deliver an array of functionality including a 12/24hr GMT, power reserve indicator, local time and home time minute repeater, and a tourbillon. 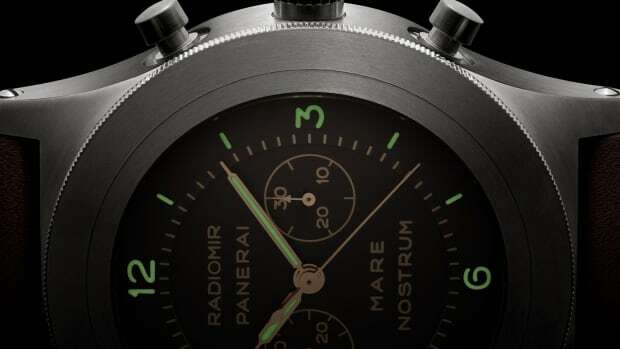 This is all housed in a beautiful, 49mm red gold case, of which Panerai uses a special mix called 5Npt. 5Npt uses copper to give it that reddish hue and platinum to keep the metal from oxidizing. It also is much more resistant than traditional pink and yellow gold alloys. 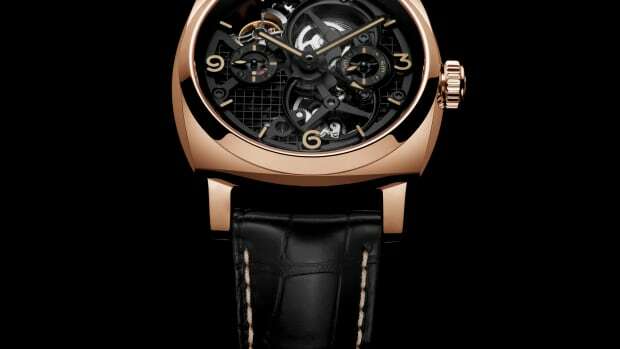 Other details include a sapphire crystal crafted from corundum, sapphire caseback, and an alligator leather strap.